I haven’t posted anything from Redbubble for a while. Ride the Legend by Snogard is a pretty cool design in my opinion. It’s available as a print, tee shirt and sticker. 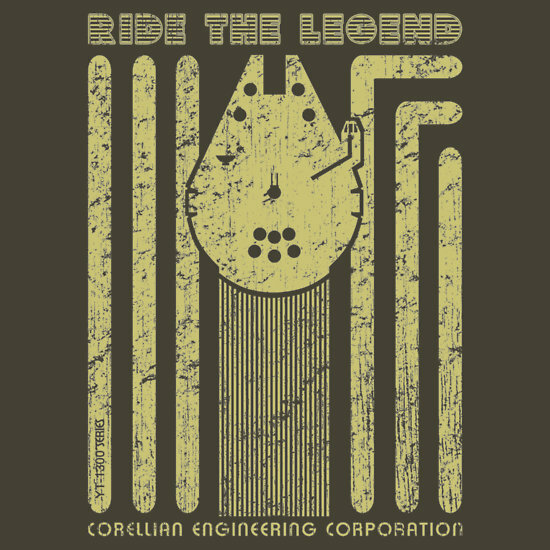 This entry was posted in Art, Stickers, Tee Shirts, Things that i don't have yet... and tagged Art, Millenium Falcon, Millennium Falcon, Ride The Legend, Snogard, Star Wars. Bookmark the permalink.